Liquid fertilizers are key components for the success of your Permaculture garden. They are immediately absorbed through the roots and leaves of plants. This is very important, especially for hungry summer fruiting vegetables like tomatoes, cucumbers, peppers, aubergines, zucchini, and melons. Add your greens like comfrey, common nettle and others in a container. Push them down as hard as you can. When it’s full, fill this with water. Leave it you for about a month and BOOM, it’s done. After this time you’ll find the liquid solution is turned into a black liquid, very powerful. Before you use it, it’s always good to mix the fertilizer! You can use as it is or, when it’s too strong, you can dilute in water. At Organic Edible Garden, they also produce a liquid fertilizer they call Black Gold. I am always curious to learn new systems and to experiment them at the Urban Permaculture Laboratory. We still did not use this method so I can not recommend it but I will make a try and will let you know. I only suggest the systems and strategies that I personally verified! 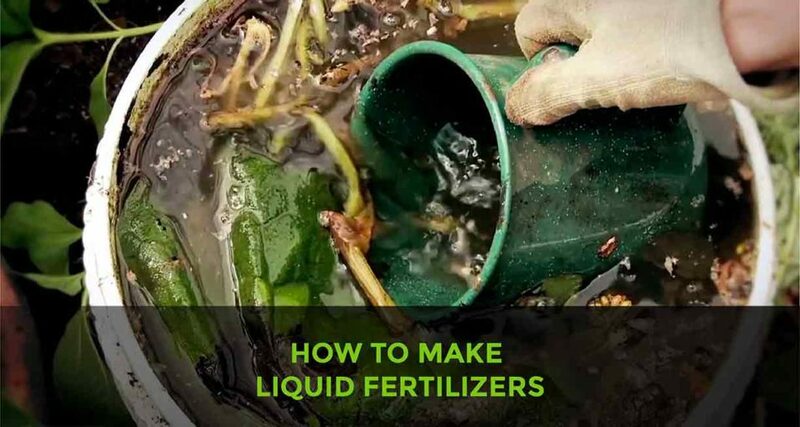 Be sure to share this post to inspire your friends and family to easily make their liquid fertilizers!